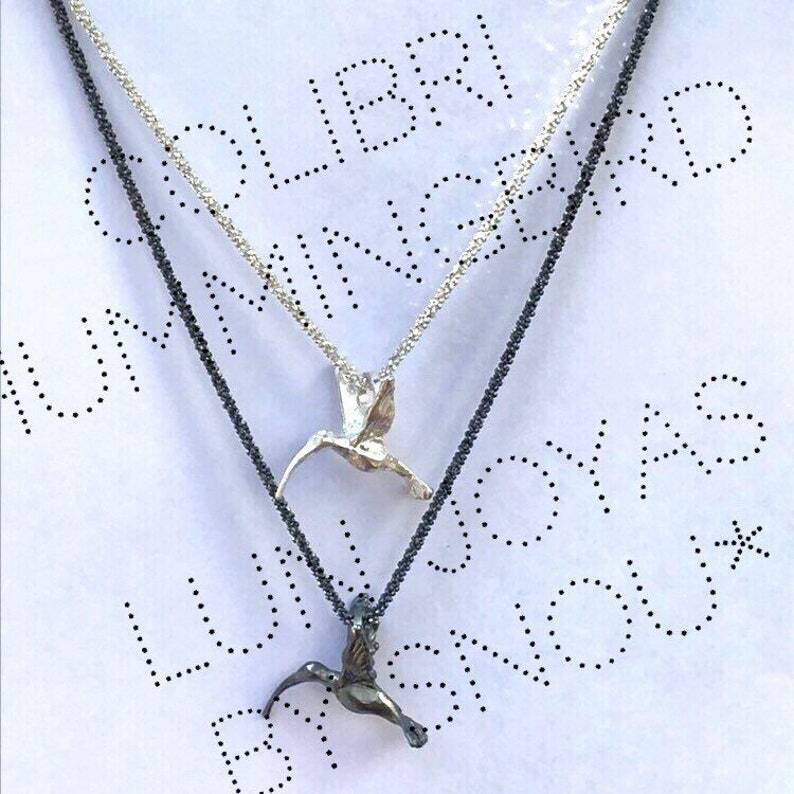 The colibri sterling silver pendant. Colibris (humming birds) are native to the Americas. These amazing creatures are a feat of nature’s beauty as well its sophisticated engineering. Delicate and powerful at once, they are a symbol of the swiftness and grace that comes, not from size, but from mother nature’s cunning. There are 338 identified species of these incredible birds. Hand modeled and cast in precious metals. This is another of our exclusive designs. A delightful pendant of a humming bird in flight, to accompany you or to show your love and admiration for a special someone, big or small. Available in sterling silver as well as in 18k gold (contact for quote) . It includes a sterling silver chain and clasp. length of chain approx. 25 cm. long.